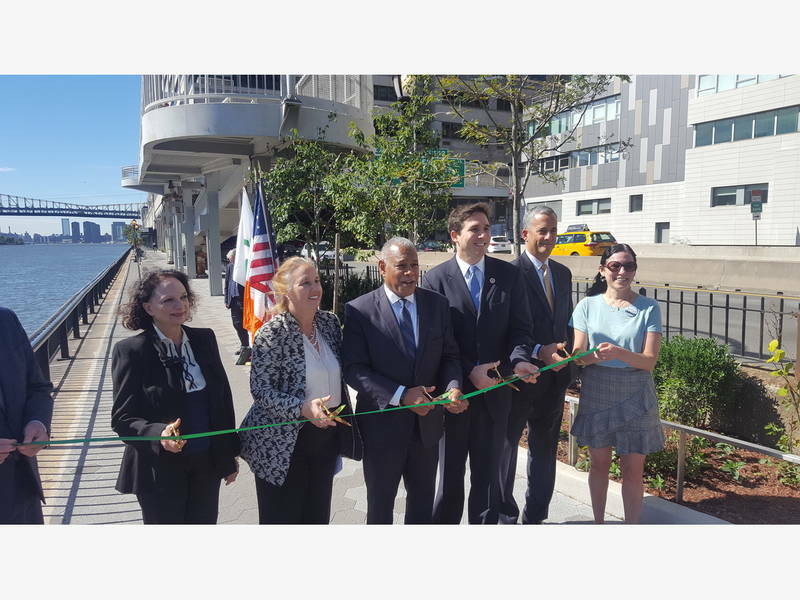 UPPER EAST SIDE, NY — City officials and elected representatives gathered Thursday on an Upper East Side portion of the East River Esplanade to unveil a newly-renovated stretch of the waterfront biking and walking path. The project also included the installation of an irrigation system on the esplanade in order to water plants lining the path. Silver described the portion as a "treasured, beautiful section" of the East River Esplanade and said the city is committed to bringing similar high-quality upgrades to more sections of the waterfront path. A renovated portion of the esplanade between East 63rd and 68th streets — in partnership with Rockefeller University — is expected to open later this year and a portion between East 68th and 70th streets funded by Kallos is expected to open in 2019, city officials said. "These esplanades help us connect neighborhoods," Silver said. "And we are making great strides toward that end to improve more of this esplanade in the future." The newly-renovated path was designed and constructed solely by the Hospital for Special Surgery, which has agreed to maintain the stretch in perpetuity, city officials said. The portion of the esplanade is easily accessed by the East 71st Street pedestrian bridge.